High flying three year old Trapeze Artist is among a quality list of nominations for the Group 1 $600,000 Schweppes 2018 All Aged Stakes (1400m) at Randwick on Saturday. Trapeze Artist, above, is among the nominations for the 2018 All Aged Stakes at Randwick. Photo by Steve Hart. Trapeze Artist showed all his brilliance and ability when he ran down the nation’s number one sprinter Redzel to claim victory in the Group 1 $2.5m Darley T J Smith Stakes (1200m) on day one of The Championships at Randwick on April 7. Trainer Gerald Ryan said that Trapeze Artist will take on the older horses at weight for age again and then head to the spelling paddock for a break before being prepared for the $13 The Everest over the same course and distance as the T J Smith Stakes during the 2018 Spring Carnival. “He has come out of the T J Smith really well,” Ryan told AAP. “Bert has told me the Everest is the plan but we have the All Aged first. Trainer James Cummings has two big name Godolphin gallopers among the nominations for the All Aged Stakes in Hartnell and It’s Somewhat. Hartnell has had a freshen up since running below par when tenth to Harlem in the Group 1 $1.5m Australian Cup (2000m) at Flemington on March 10 after what looked like being a fruitful Autumn Carnival after winning first up in the Group 1 $500,000 Ladbrokes C.F. Orr Stakes (1400m) at Caulfield on February 10. 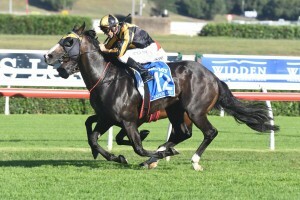 Stablemate It’s Somewhat hasn’t been seen since an unsuccessful trip to the west when fifth to Pounamu in the Group 1 $1m Magic Millions-Kingston Town Classic (1800m) at Ascot during the 2017 Perth Summer Carnival. It’s Somewhat was one of the stars of the 2017 Sydney Autumn Carnival with an all the way win in the Group 1 $3m The Star Doncaster Mile (1600m) at Randwick. Victoria’s leading trainer Darren Weir has nominated two of his imports in the All Aged Stakes, Japanese import Brave Smash and European stayer Red Cardinal. Brave Smash has showed his liking for Australian racing conditions with two wins from nine starts for Weir, including a win in the Group 1 $500,000 italktravel Futurity Stakes (1400m) at Caulfield on February 24. Red Cardinal will be having his first start for the Weir stable and has only had one run on Australian soil when prepared by German trainer Andreas Wohler for an eleventh to Rekindling in the 2017 Group 1 $6.25m Emirates Melbourne Cup (3200m) at Flemington. Sydney’s leading trainer Chris Waller’s three All Aged Stakes nominations also began their careers overseas with Japanese import Satono Rasen yet to start for the stable, Irish import Endless Drama is a winner three starts back in the Group 2 $250,000 The Star Apollo Stakes (1400m) at Randwick on February 17 and they are joined by the ever consistent Tom Melbourne. Trainer Kris Lees has nominated his two Group 1 winners Clearly Innocent and Le Romain while Team Hawkes have three year old Showtime entered for the weight for age All Aged Stakes. View the official All Aged Stakes 2018 nominations below before checking out the best futures markets online at Ladbrokes.com.au.